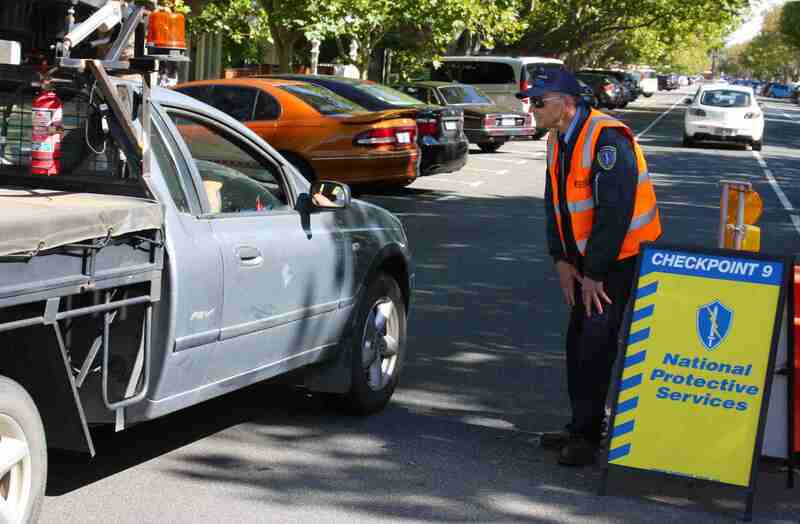 While the F1 cars roared around Albert Park for the 2016 Australian Grand Prix, National Protective Services was working off the track managing the surrounding street closures to make sure local people could continue to access their streets and houses during the event. Our team helped keep traffic moving off the track during the 2016 F1 Grand Prix. Security officers from the National Protective Services’ team were based on every street to let local residents through and help direct Grand Prix visitors around street closures to the track and nearby parking options. CEO Rachaell Saunders said this on-the-ground help is one of the ways the security company works with the City of Port Philip. “The Australian Grand Prix is a fantastic Melbourne event, but we need to make sure that local people can get to their streets and houses and that visitors unfamiliar to the area can get to where they need to go,” she said. This type of work is just one of the ways that National Protective Services’ security guards can help at major events and functions. Our guards provide excellent standards of security work across all services and environments, including control rooms, events, concierge services, gatehouse duties, patrols and access control.